New York Stockbroker Fraud Lawyer | New York City Securities Arbitration Attorney | Law Office of Christopher J. Gray, P.C. Contact Law Office of Christopher J. Gray, P.C. Law Office of Christopher J. Gray, P.C. focuses its practice on representing the plaintiff in securities and commodities cases nationwide. During his 20-year career, Christopher J. Gray has handled numerous investor claims in state and federal court as well as in arbitration before the Financial Industry Regulatory Authority (FINRA), the National Association of Securities Dealers (NASD), the New York Stock Exchange (NYSE) and the National Futures Association (NFA). Christopher J. Gray has tried approximately 20 cases to jury verdict or arbitration award. The firm handles investor claims throughout the United States with the confidence that we can successfully prosecute the cases through trial if the defendant or respondent is not willing to make our clients a reasonable settlement offer. Our attorneys are admitted in New York and New Jersey as well as various federal courts around the country, and accept cases in other U.S. states, subject to individual state bar rules for out-of-state practice and working in cooperation with attorneys licensed in those states as required under applicable state bar rules. Our clients do not pay any additional attorneys’ fees if we make the decision to partner with local counsel in another state. In re Amaranth Natural Gas Commodities Litigation, 711 F. Supp. 2d 301 (S.D.N.Y. 2010): U.S. District Court for the Southern District of New York attached $72.4 million in assets of hedge fund in action alleging manipulation of natural gas commodities futures markets. See also 269 F.R.D. 366 (S.D.N.Y. 2010) (certifying class on contested motion). The case was ultimately settled for $77.1 million. In re Platinum and Palladium Commodities Litigation, No. 10-CV-3617 (WHP), 2014 U.S. Dist. LEXIS 96457 (S.D.N.Y. Jul. 15, 2014): U.S. District Court for the Southern District of New York approved settlements on behalf of futures and physical platinum and palladium purchasers for total recovery of $57.7 million and approved physical purchaser plaintiffs’ fee request of $4,029,300 in its entirety based on “public policy and the high quality of representation.” See 2015 U.S. Dist. LEXIS 98691. Christopher J. Gray was co-counsel for the physical purchaser class, which recovered over $12 million. Raubvogel v. Credit Suisse (USA) Securities LLC, 123 So. 3d 1155 (Fla. 4th DCA 2013): Florida appeals court reversed lower court’s order declining to award attorneys’ fees to petitioner pursuant to the Florida Securities Act, Fla. Stat §517.211. Client recovered over $1 million after winning at trial (including the attorneys’ fees subsequently awarded in state court). Christopher J. Gray was lead trial counsel. Aleem, et al., v. Pearce & Durick, No. 1:15-cv-00085: U.S. District Court for the District of North Dakota class action case in which plaintiffs recovered $5,100,000 from a law firm accused of violating North Dakota securities law by allegedly assisting in sale of unregistered securities offering. Christopher J. Gray served as court-appointed Co-Lead Counsel. Herbert Black v. Finantra Capital, Inc., S.D.N.Y. Docket No. 02-CV-6819 (JSR): Jury in U.S. District Court for the Southern District of New York awarded plaintiff over $1 million verdict in a securities fraud case involving a private placement of stock in a consumer finance company. Beach v. Citigroup Alternative Investments, LLC, No. 12-CV-7717 (PKC): U.S. District Court, Southern District of New York: Class action case alleging fraud in connection with sale and management of hedge fund that imploded settled for $13.5 million. The Firm typically accepts individual cases on a contingency fee arrangement under which the Firm receives approximately one-third of any gross recovery for the client as its fee, sometimes rising to 40% if the case proceeds to trial, and the client is not responsible for any attorneys’ fees if the case is lost. The Firm may also advance expenses, depending on the individual circumstances of each case and any applicable rules. The Firm also accepts class action cases on a contingent fee basis. In a class action, any attorneys’ fees must be awarded by the judge. The sums of these attorneys’ fee awards are typically based on a percentage of the sums recovered, as well as the skill and experience of the attorneys and the amount of time the attorneys spent working on the case. Investors who believe that they may have a valid case may contact us via the contact form on this website, by e-mail at newcases@investorlawyers.net, or by telephone at (866) 966-9598 for a confidential, no-cost consultation. Christopher J. Gray has spent most of his career representing individuals and small businesses- almost exclusively as plaintiffs- in complex litigation, arbitrations, class actions, and trials and appeals in state and federal court. In court, Mr. Gray has achieved notable results for his clients in many instances. 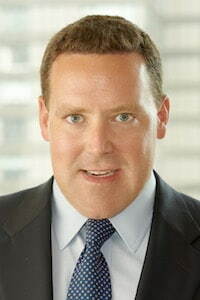 In 2011, Mr. Gray and co-counsel obtained a pre-judgment attachment of $72.4 million against a now-defunct hedge fund known as Amaranth that had sought to distribute the $72.4 million to its feeder fund investors (including offshore entities) and also to its former employees as deferred compensation. Michael J. DeRienzo has significant experience in complex litigation including cases involving securities and other types of fraud, and also has substantial experience representing whistleblowers in matters involving the securities industry and healthcare fraud. 1National Law Firm Accepting Cases Throughout the U.S. Fill out the contact form or call us at (866) 966-9598 to schedule your consultation. Copyright © 2019, Law Office of Christopher J. Gray, P.C.